Parc Botannia @Fernvale - Don't Miss The Special Discount! Latest Update: 1BR+S fr $6xxK. Get it at LOWEST entry price in this market, while new EC is already selling averagely $965 psf . Parc Botannia, a home with nature. Garden living private residential with amazing resort facilities. Located in Fernvale with Doorstep LRT station, residents can enjoy seamless connectivity. Only 1 stop to Seletar Mall where 6 levels of Retail/ F&B (NTUC Finest and Shaw Cinemas). And only 4 Stops to Compass One Shopping Mall, Sengkang Square and Sengkang MRT Station. It is also situated just mins walk to Jalan Kayu, a two lane road shophouses food heaven that draws the crowd all over the island. Within minutes drive, Seletar Regional Centre and Seletar Aerospace Park will be a major employment node for people living in the north and northeast in the future. Located at 10, 12, 14, 16 Fernvale Street with panoramic views of landed enclave. Residents will have seamless connectivity with a direct shelter linkway to Thanggam LRT Station, only four stops to Sengkang MRT Station and Bus interchange. For drivers, it takes less than 30 minutes to drive from Fernvale Street to the Central Business District, Marina Bay and vibrant Orchard Road shopping district, via Tampines Expressway (TPE), Central Expressway (CTE) and Kallang-Paya Lebar Expressway (KPE). 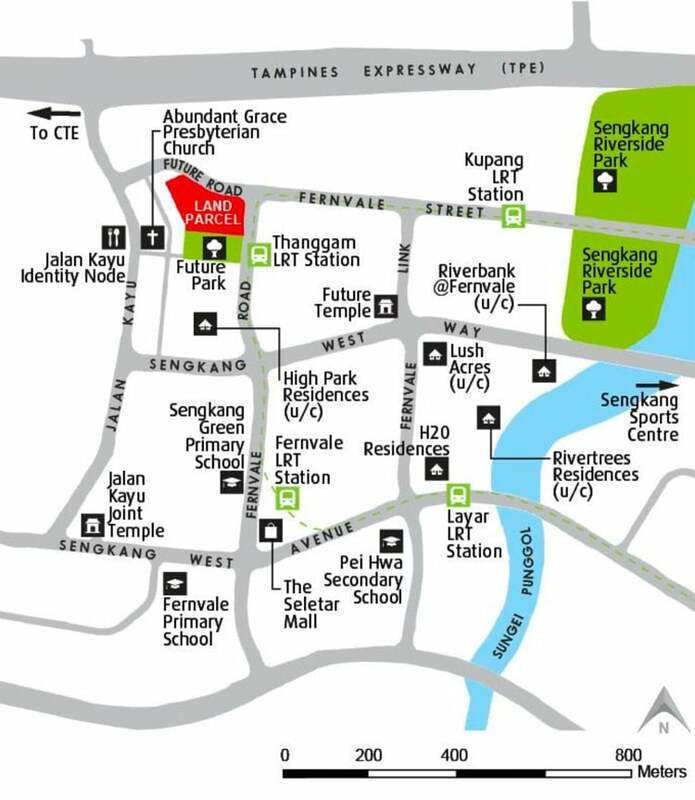 For nature and sports, residents can walk to Sengkang Sports and Recreation Centre and Sengkang Riverside Park. Elite schools such as Sengkang Green Primary School, Nan Chiau Primary School, Nan Chiau High School are also nearby. Founded in 1964, Sing Holdings Limited and its subsidiaries (the “Group”) is a property development and investment group listed on the Mainboard of the Singapore Exchange. It has an established track record with investment and development experiences in a wide spectrum of properties ranging from landed houses, apartments, condominiums, office and industrial buildings, factories to warehouses.Some of the Group’s recent developments include residential projects such as BelleRive in Bukit Timah area, The Laurels at Cairnhill, Waterwoods in Punggol and Robin Residences at Robin Drive. The Group also developed industrial and commercial buildings such as BizTech Centre along Aljunied Road, EastGate in the East Coast area and Ocean Towers, an award-winning Grade-A office building in Shanghai, the People’s Republic of China. The history of the Group dates back to 1980 when Mr Goh Yeow Lian, our Executive Chairman and Managing Director established ‘Wee Hur Construction Co’ with his brothers , Mr Goh Yeu Toh, Mr Goh Yeo Hwa , Mr Goh Yew Tee and brothers-in-law, Mr Sua Nam Heng and Mr Cheng Kiang Huat. The partnership company was subsequently incorporated as ‘Wee Hur Construction Pte Ltd’ in 1988 to cater to its growing business. Proximity to education institutes : Several schools such as Fernvale Primary School, Pei Hwa Secondary School, Nan Chiau Primary School and Nan Chiau High School. 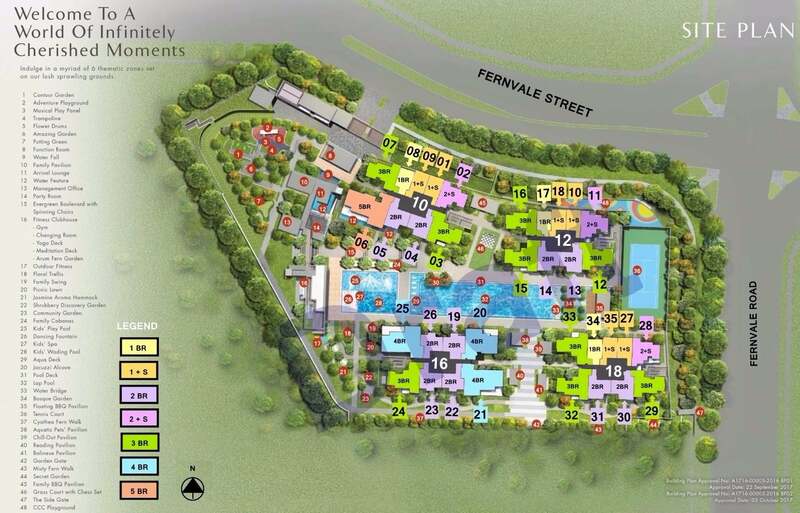 Parc Botannia is located in Fernvale Road (District 28) next to Thanggam LRT. With its close proximity to Seletar Shopping Mall, Compass One Shopping Mall, famous Jalan Kayu eateries, Sengkang Riverside Park, Nan Chiau Primary & High School & Seletar Aerospace Park, Parc Botannia is ideal for both own stay and investment as it provides good rental yield and capital appreciation. The best part about living in the area, as a resident of Parc Botania, is that the best is yet to come. The area is rapidly evolving and developing, so improved facilities will soon be available, making life here indeed a real privilege and pleasure.